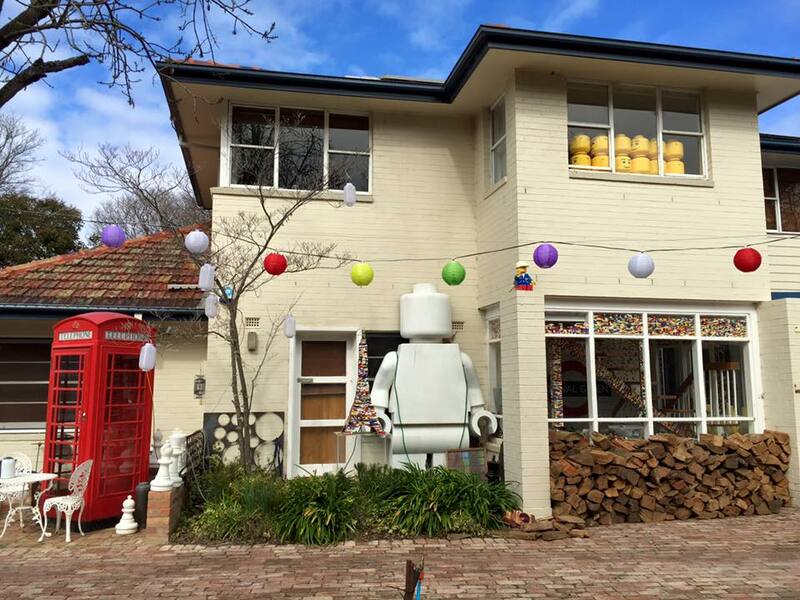 Canberra is home to Australia’s LEGO house – a home where LEGO bricks have become a decorating tool and the only limitation is the imagination of the homeowner. Charlie and his family moved from the countryside to their current home in Canberra around 2 and half years ago. 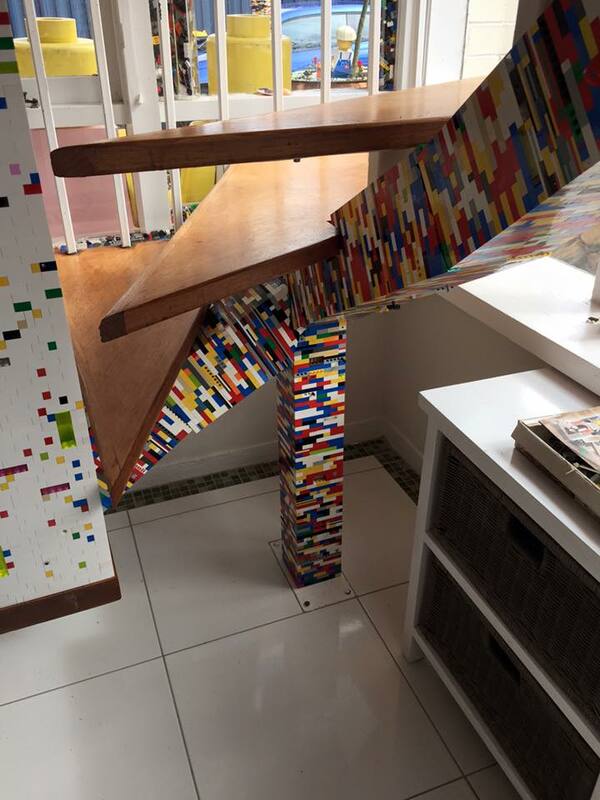 Lack of space to store their large LEGO collection was the initial impetus behind decorating their home with plastic bricks. No real planning goes into developing or creating each section though, as Charlie usually sees something that can be “wrapped” in LEGO bricks and starts building. He finds the building helps with stress relief and believes it to be therapeutic and almost meditative. In Charlie’s words, the process helps “reset” his brain. He admits he can be a little obsessed at times and may avoid other work until it’s finished. There have been times when it hasn’t worked as he thought it might so he’s pulled it down and tried something else until he gets it right. 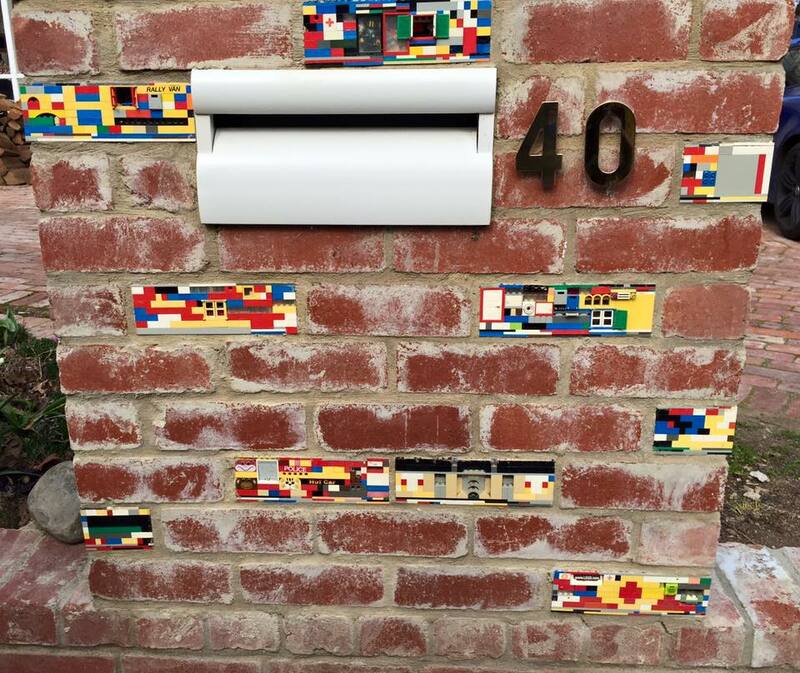 The brick letterbox, garden walls and paving featuring LEGO brick inserts are perhaps Charlie’s favourite part of his garden and house. To create the “brick inserts” he held special LEGO parties where friends and kids were each given a box of bricks and asked to make their own creation. They know who built each one and each “brick” reflects the personality of the builder. 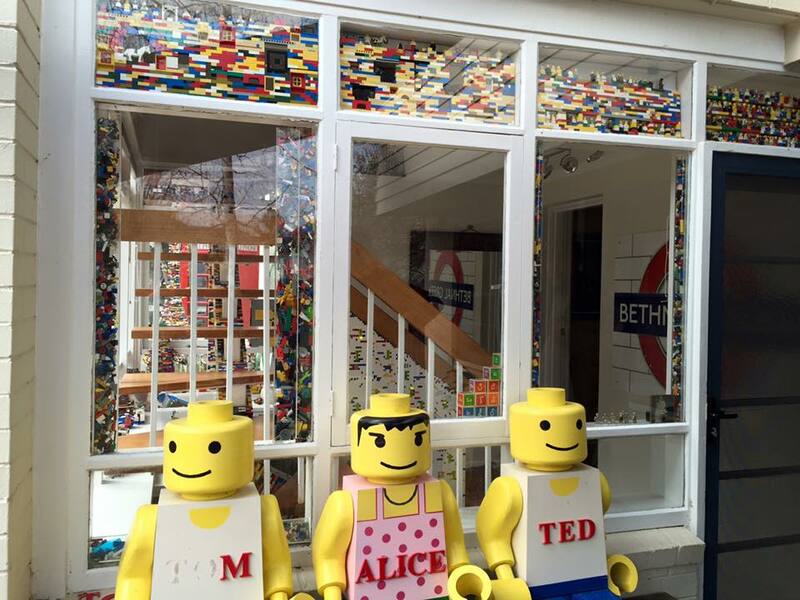 The LEGO house has many visitors throughout the year – from a few dozen a day to small tour buses and groups of local school children. 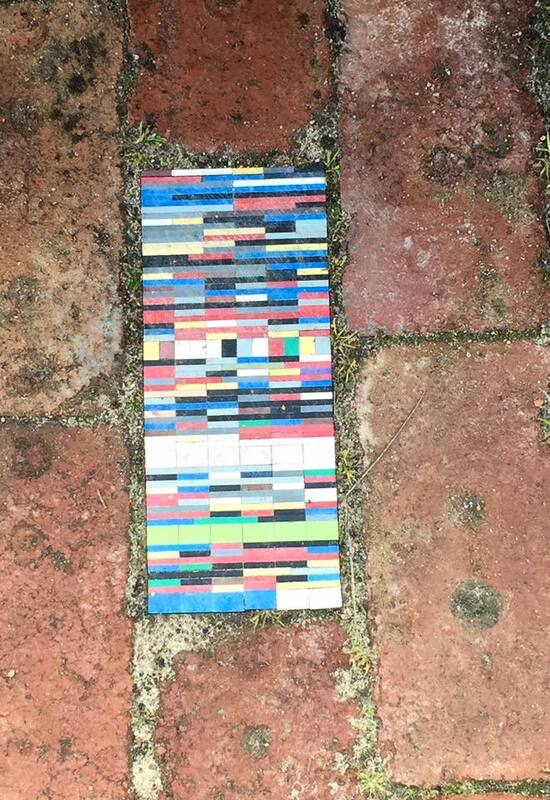 On occasion, people will donate LEGO to the family so they can continue adding to the local landmark. Charlie’s wife would like the decorating to end but there are plans for a house extension that will feature at least one LEGO wall. In reality, it may never be finished. 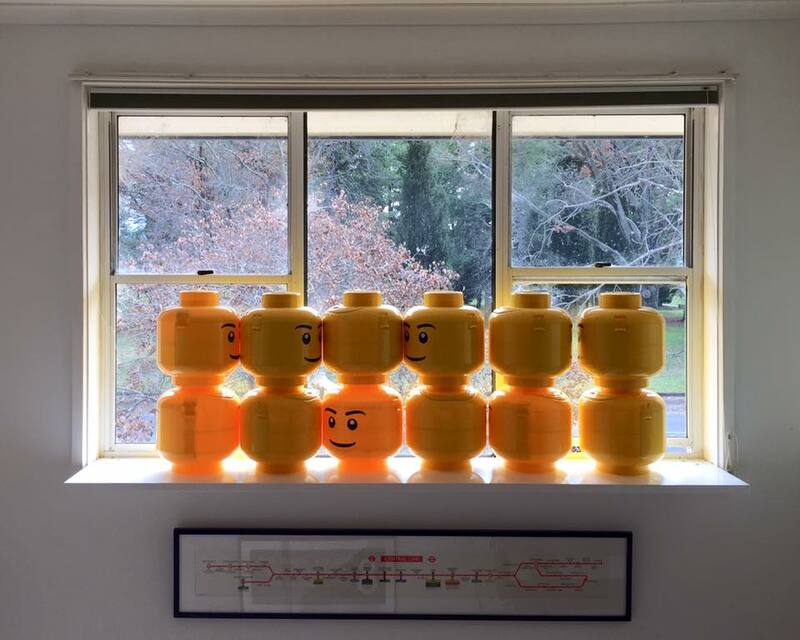 Long term Canberra residents, Matt and Tam, and their two children, are active members of the LEGO fan community in Canberra. Matt spends a lot of time running the trains at LEGO fan events and Tam can usually be found next to an award winning MOC. Matt’s love of LEGO was firmly established as a child. 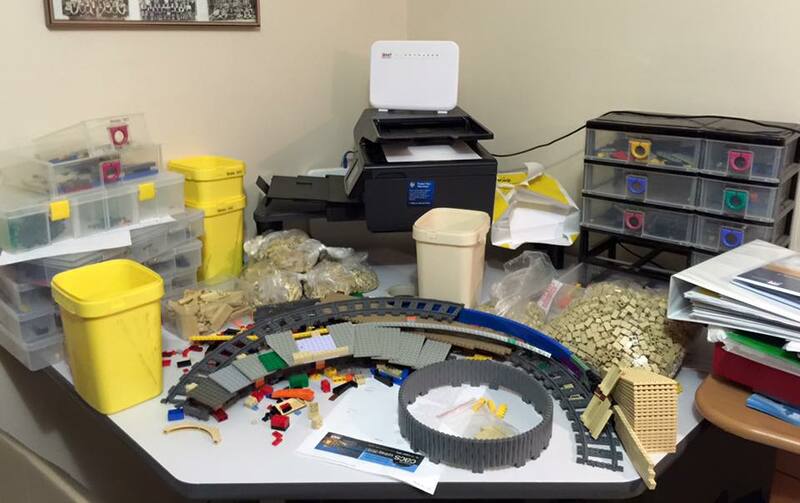 From the age of 4 to 14, he was a regular builder. Tam, on the other hand, only had one incomplete LEGO set so was not really a fan of LEGO. She did, however, have a passionate interest in arts and craft and, to her, LEGO bricks are just another medium. 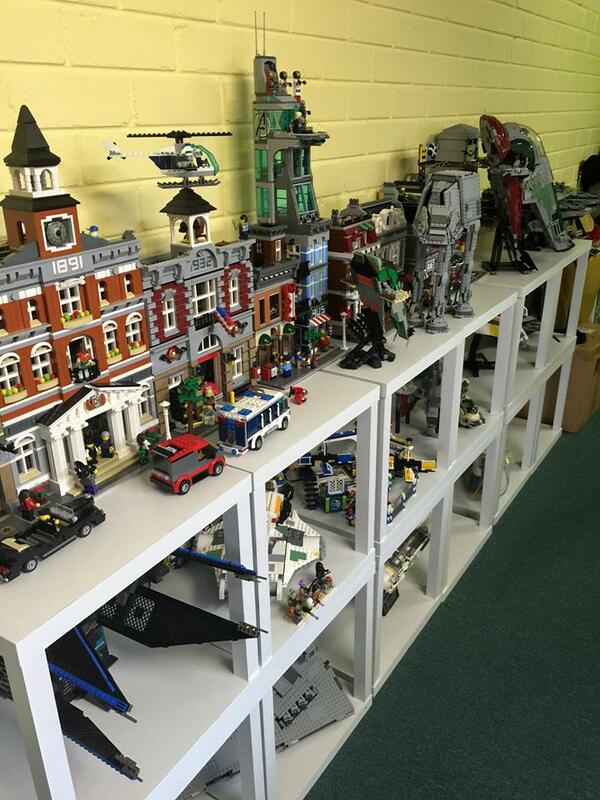 Together, Matt and Tam joined the AFOL community when their children expressed an interest in LEGO around 4 to 5 years ago. 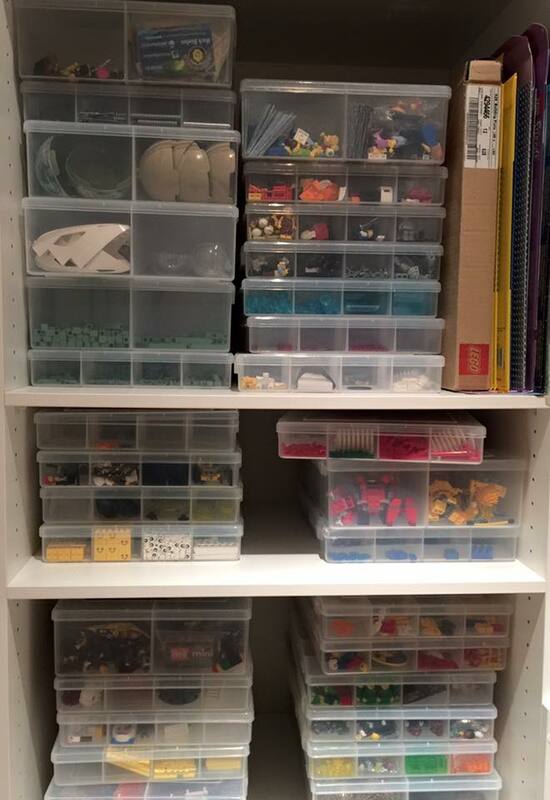 Most of their LEGO elements are stored in clear portable storage boxes with removable dividers. They sort by colour first, then shape or function. This means they might have 8 “white” trays with one tray holding tiles of various sizes, another with hinges, and others with bricks, plates, slopes and ’round shapes’ etc. 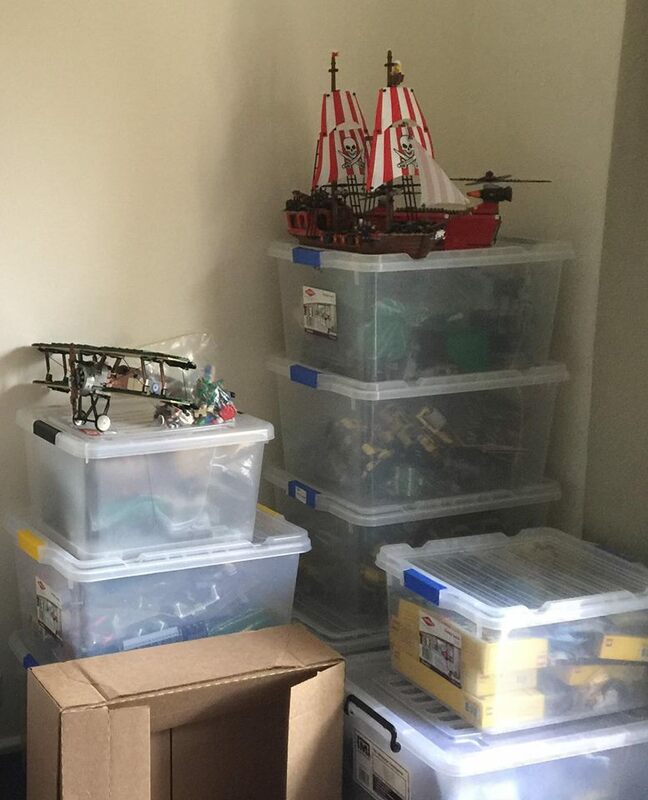 The trays used to be stored in a hall cupboard, but have now overflowed into their ‘spare room’ (it was formerly a guest room but they have recently conceded that it’s really their LEGO room). 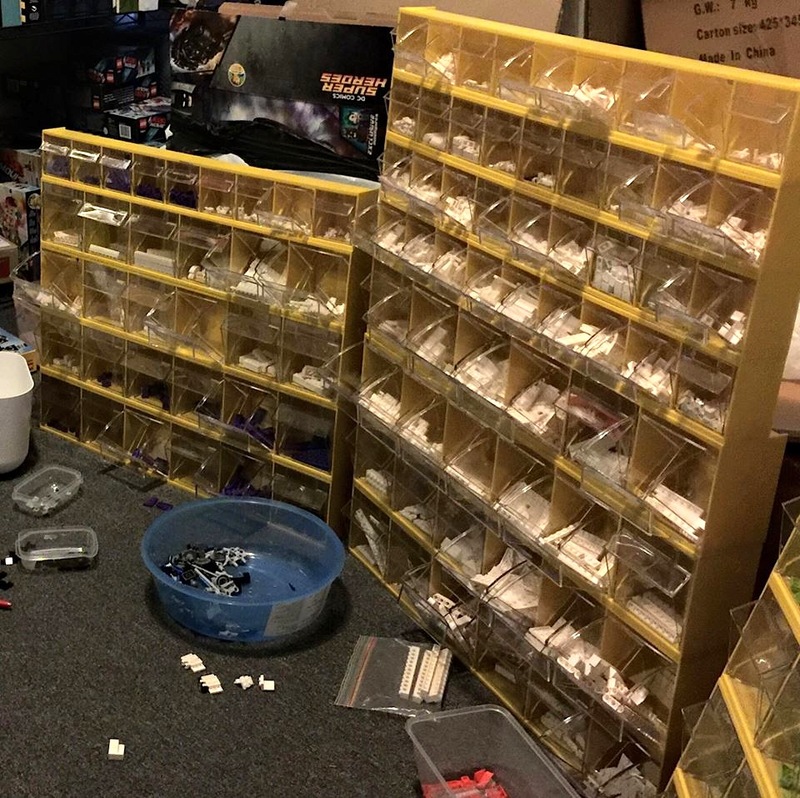 The majority of their MOCs are stored in a purpose-built cupboard in their garage along with a few unopened LEGO sets. Tam’s favourite thing about being a LEGO fan is the creative process of turning an idea into an object, knowing that she is limited by the available shapes and colours produced by LEGO. She tends to build brightly coloured fairytale-themed MOCs that, on the the surface, appeal to a younger audience but also appeal to an older audience due to the advanced building techniques. Tam is currently experimenting with novel parts use as was seen in her recent MOC of the “The Butterfly Ball” at the Canberra Brick Expo. She also enjoys participating in LEGO fan shows and believes they are great opportunities to meet interesting people and learn techniques from other exhibitors. Like a lot of other AFOLs, Tam enjoys seeing the reactions of the non-AFOLs and answering their questions about how a particular technique was achieved. Her least favourite thing about being an AFOL is having to build to a deadline to have a MOC finished in time for a LEGO fan event. 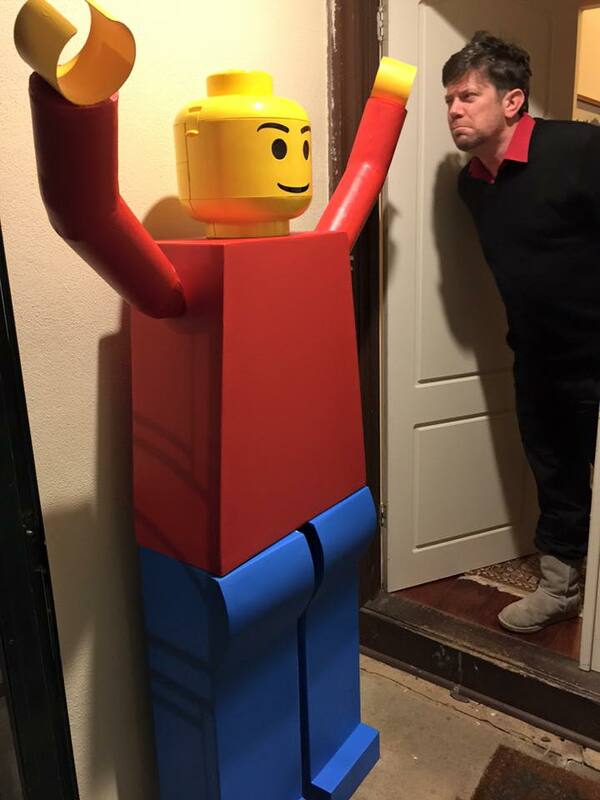 For Matt, his favourite thing about being a LEGO fan is being able to create an object to which he and others can relate from just a random assortment of LEGO shapes. Like Tam, Matt also dislikes having to build under pressure in order to meet a deadline. Despite emerging from her LEGO Dark Ages in 2008, it took Sarah S. of Canberra until 2012 before she started to build her own creations. Since then she has won a number of awards for her Harry Potter and Lord of the Rings creations. 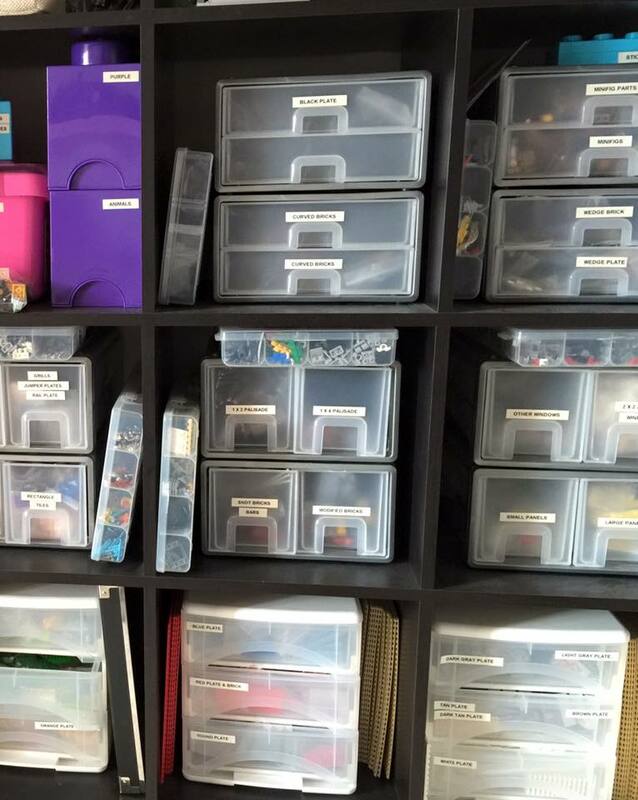 Sarah’s LEGO bricks are neatly stored in well organised and labelled plastic drawers and storage boxes. The parts are sorted by type, then colour and are stored inside ziplock bags. Her instructions are stored in a filing cabinet. 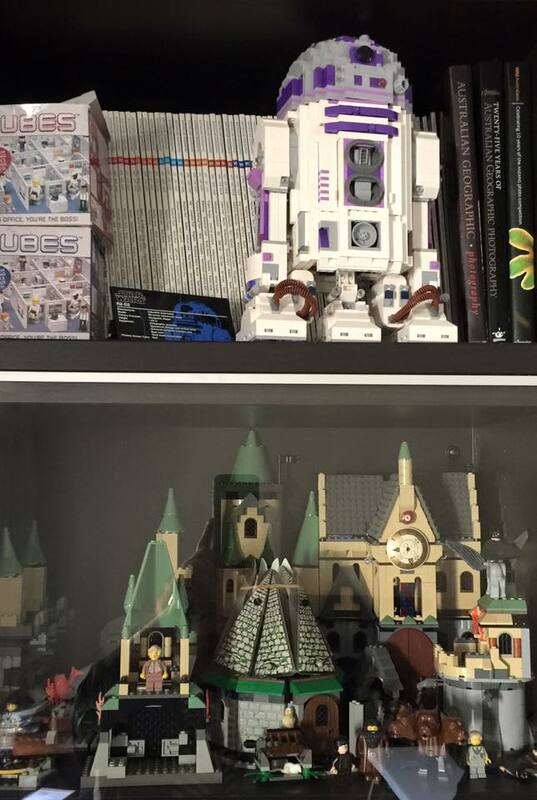 She has quite a few of her favourite sets on display and keeping them dust free is quite a task. 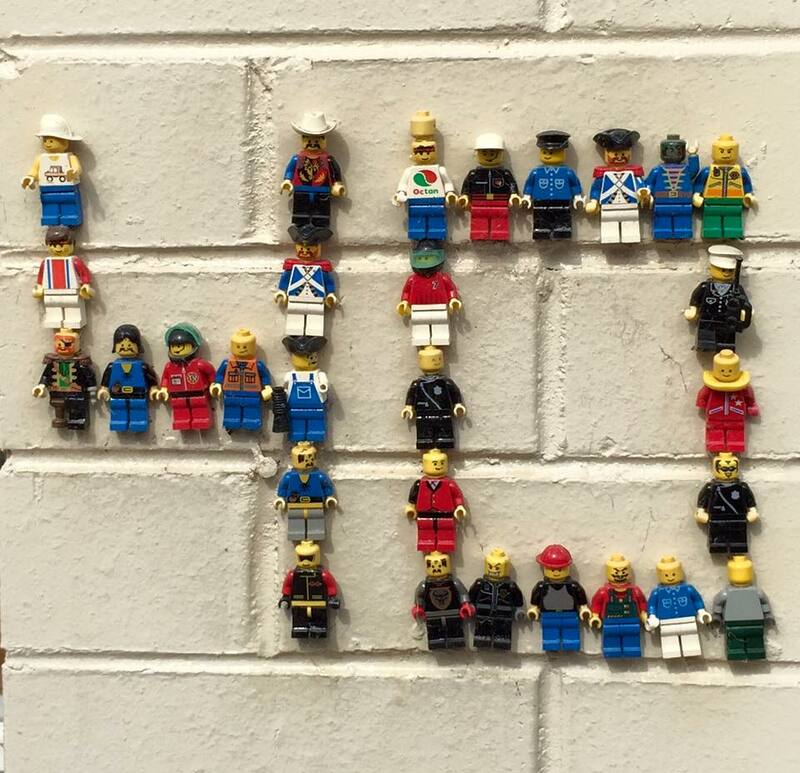 The endless creativity that comes from building with LEGO Bricks is one of Sarah’s favourite things about being an AFOL. 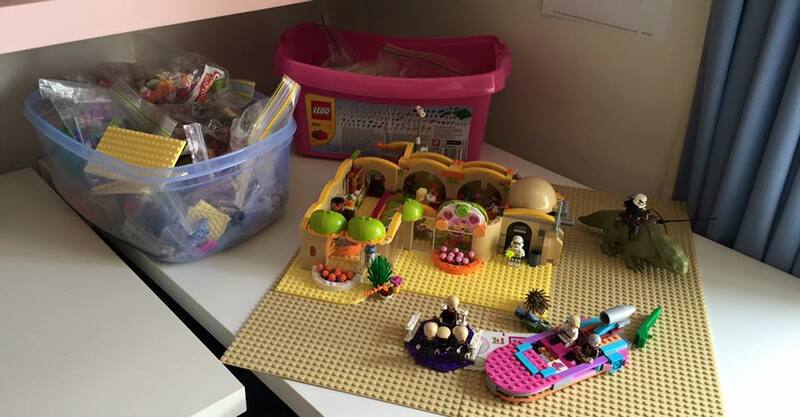 She is always impressed by the range of projects that can be made using the humble LEGO brick. Conversely, Sarah believes there is always a risk that your creativity may exceed your budget and LEGO-induced poverty can be a real risk for some AFOLs. 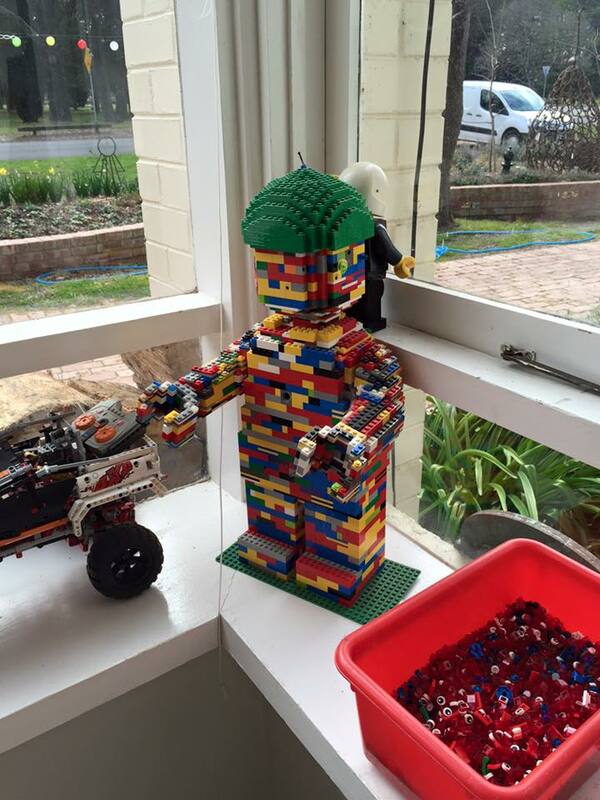 Stephen C. is Canberra born and bred and loved LEGO as a child. In his words, he had “loads of it”. He dearly wishes he could have held onto it all but his parents believed LEGO was a child’s toy and they encouraged him to pass on his childhood things to other members of the family. 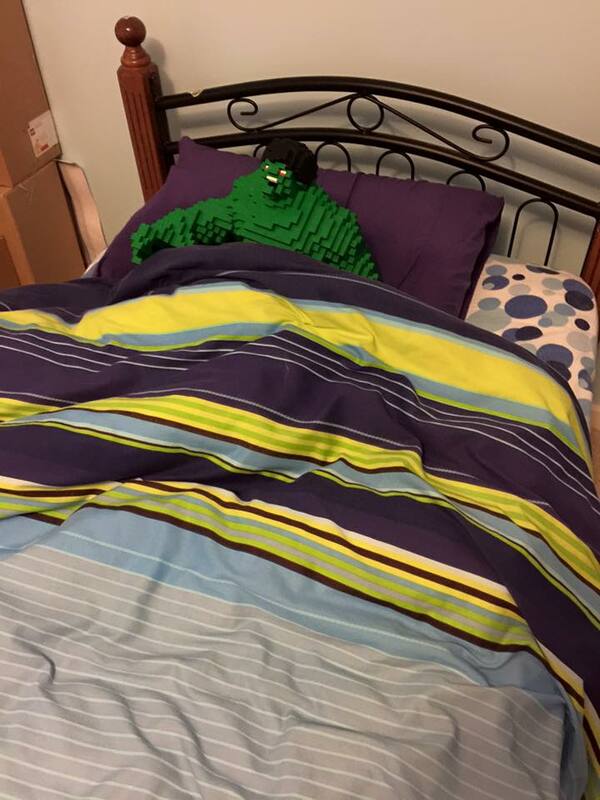 After all this time, he still remembers being upset that he had to hand over all of his beloved LEGO to his younger cousins. Stephen was particularly devastated by the loss of his original yellow castle set (#375) as it was his absolute favourite. In fact, some years later in the 1990s, it was this very set that lead Stephen on the path to becoming an AFOL. Back when eBay was just starting up, a friend told him how you could buy just about anything on the site. He was rather delighted to find his long lost childhood toy. One complete 375 castle later and he began his journey as an AFOL. He hasn’t looked back since. 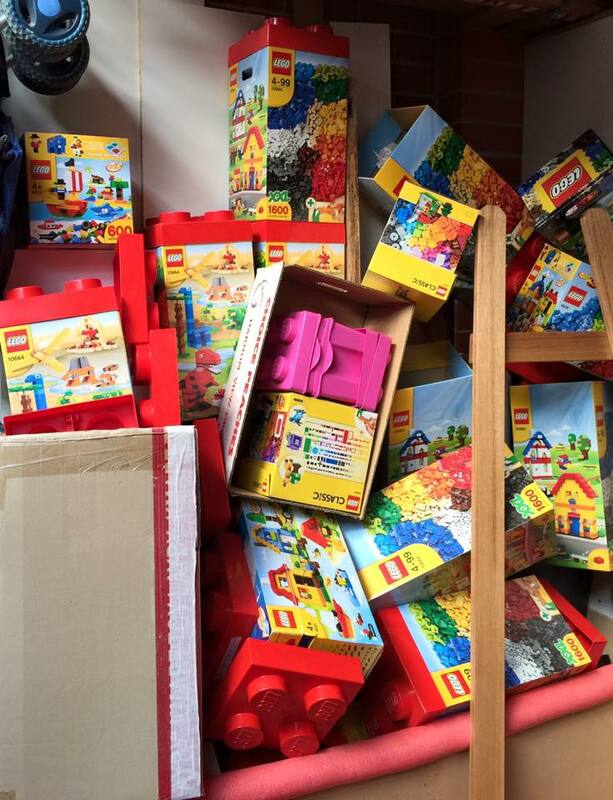 Due to a recent house move, a great deal of Stephen’s LEGO is still in moving boxes – stacked up waiting to be unpacked. 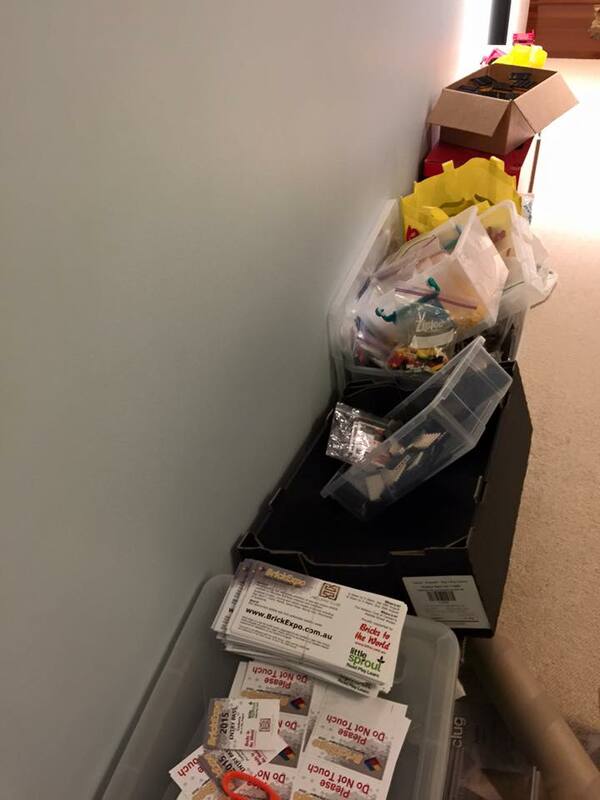 When he does have access to his LEGO collection, he uses lots of clear plastic containers so he can see inside. Like so many AFOLs, he has tried to become organised many times. He has tried the “by colour” method only to realise that you need to go by part as well. 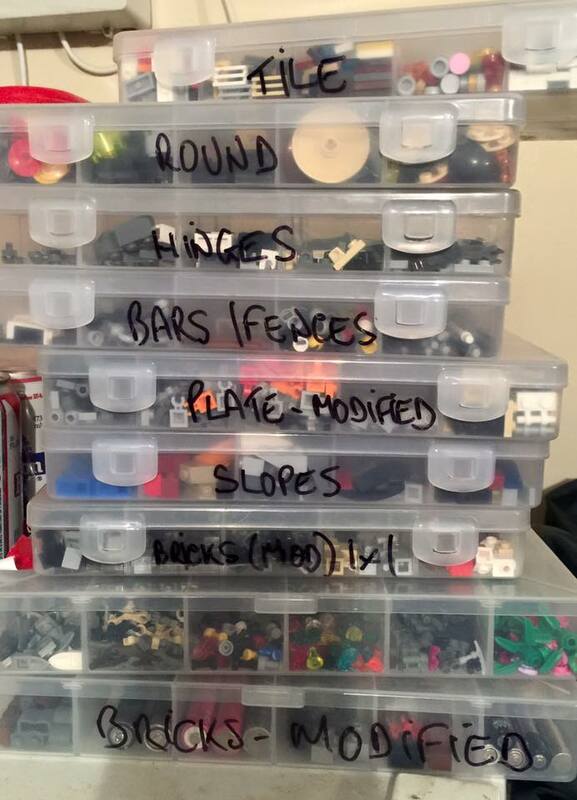 Despite all of his efforts, there are many tubs of LEGO labelled “to be sorted”. He believes he will get there in the end but, at the moment, it is mostly in themes such as “Harry Potter”, “Star Wars” and too many tubs of “Bionicles”. Stephen really enjoys the LEGO fan shows. It’s one of his favourite things to see the countless FOLs (of all ages) arrive and stand slack-jawed in awe at the creations and displays. The least favourite thing for Stephen is that you can never have enough LEGO. He says that no matter now hard you try to buy less, to be careful or selective on the collecting, there is always something new that you absolutely must have! Long term Canberra resident, David B., has early memories of trying to build Thunderbirds’ spaceships with his brother when he was in pre-school. He fondly remembers receiving a LEGO truck when he was around 5 and building it, pulling it apart and rebuilding it until he could build it without the instructions. His attempts to rebuild other toys weren’t quite as successful. In terms of sorting, David prefers to first sort by colour and then by type. 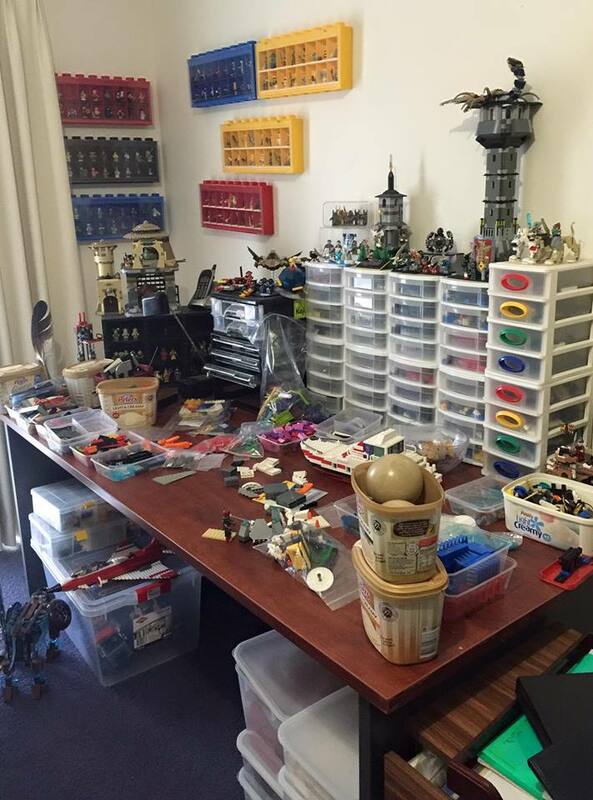 He currently doesn’t have access to the bulk of his collection but says it is perfectly organised in plastic drawers. His current working collection is stored rather haphazardly in plastic containers. Once he has built a MOC, he usually boxes it up straight away for storage and future transport. 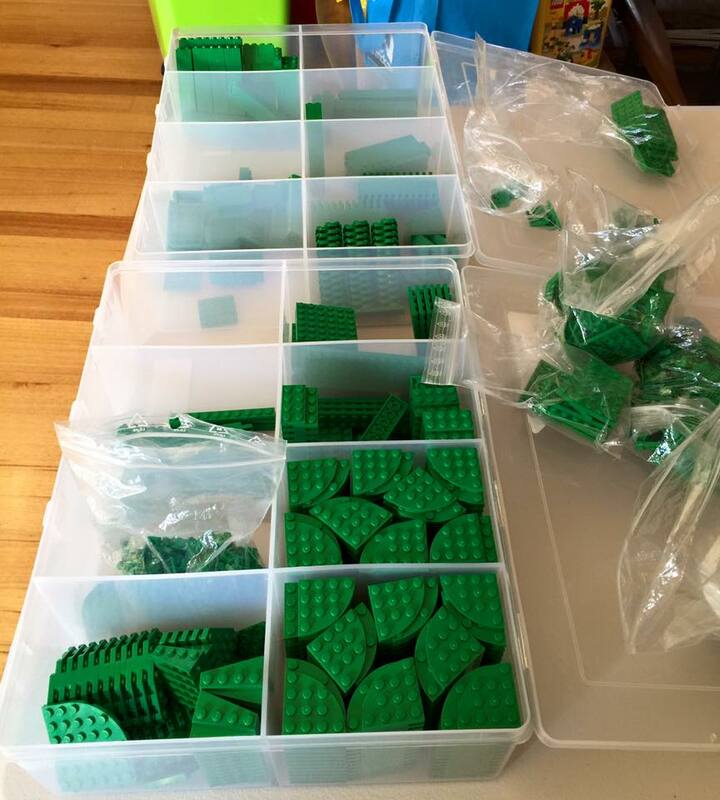 His new or better MOCs are stored in plastic containers. Others are stored in cardboard boxes. 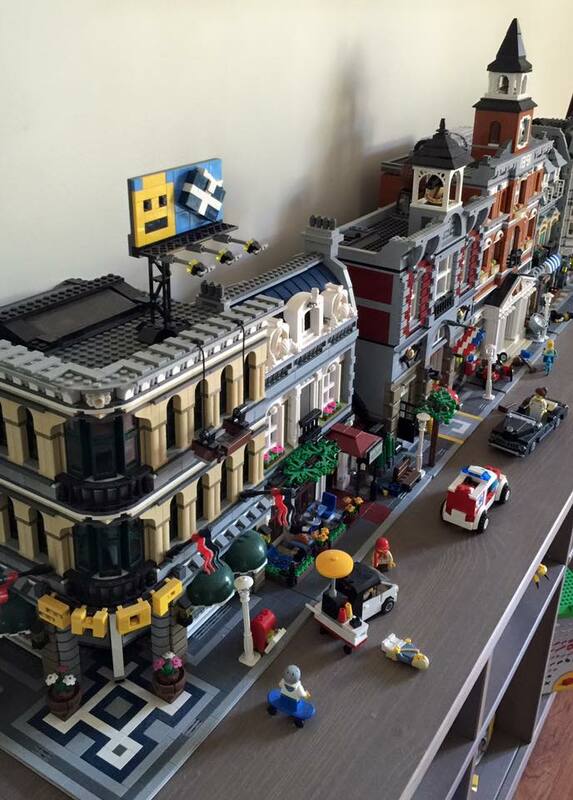 David’s favourite thing about being an AFOL is designing a MOC and then seeing his design come to life when he finally puts the bricks together and builds his creation. At the moment, he believes there is no downside to being an AFOL. Steve A. of Canberra started his AFOL journey in 2002. 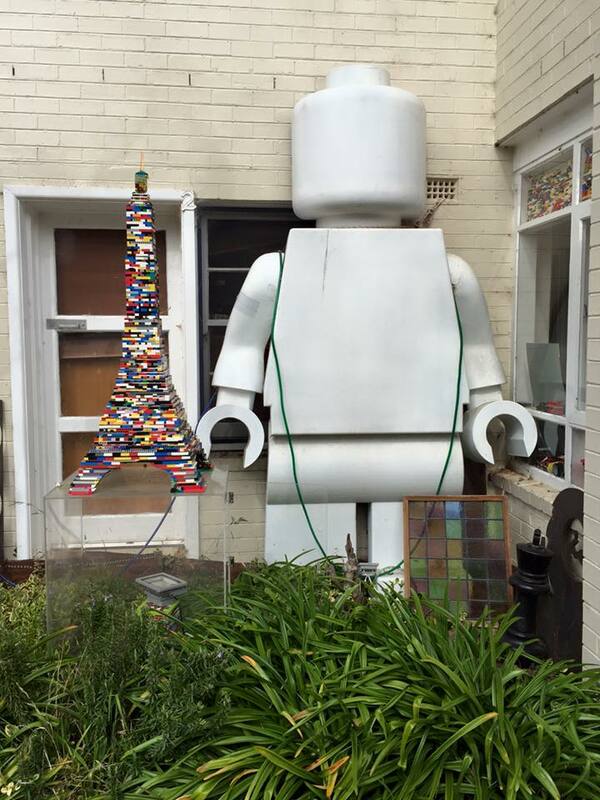 Originally from Melbourne and part of the Melbourne LEGO User Group (MUGs), he moved to Canberra in 2005 and has become an active member of the Canberra LEGO User Group (CLUG). 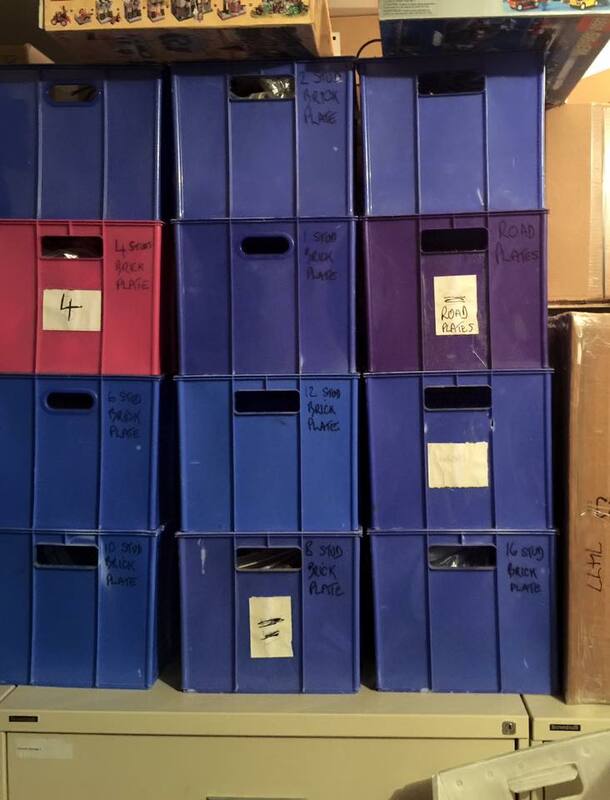 In terms of storage, Steve describes his methodology as “organised chaos”. 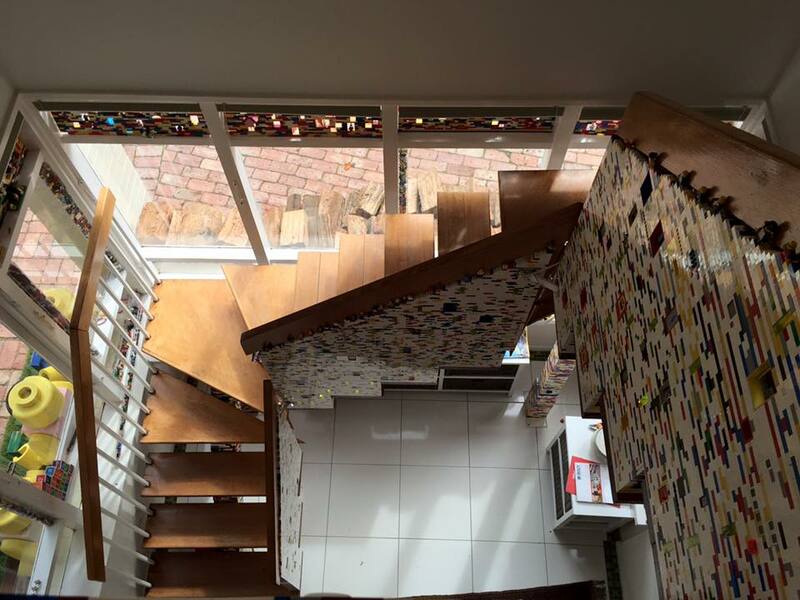 He uses shelving, drawers and filing cabinets in his garage for a large portion of his collection. Used parts are sorted by type and are stored in about 30 plastic crates. 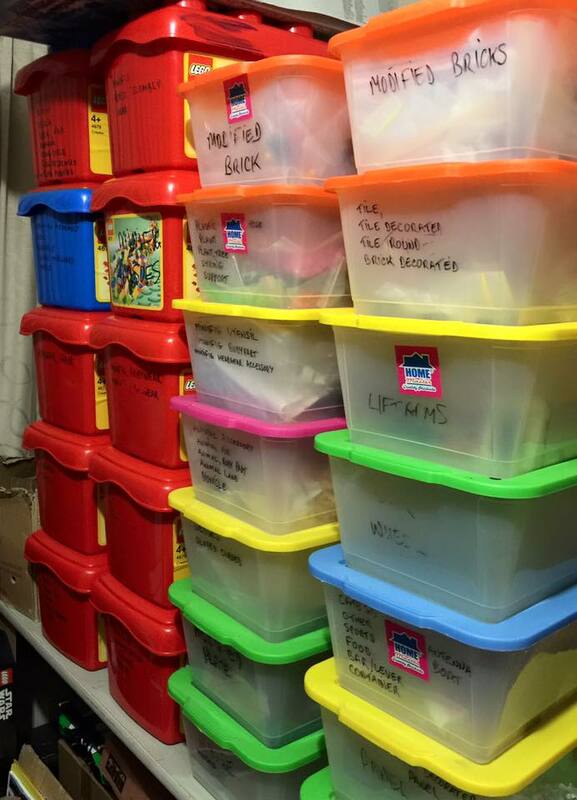 Unsorted parts are stored in plastic containers and his Bricklink shop parts are in old LEGO plastic tubs. Steve is really impressed by the variety and quality of LEGO parts and sets these days. As a big fan of the early history of LEGO and he finds it incredible that 1950s LEGO bricks are still compatible with today’s bricks. He also really enjoys the fantastic LEGO fan shows conducted by AFOLs especially the enjoyment it brings everyone from volunteers and organisers to members of the public. 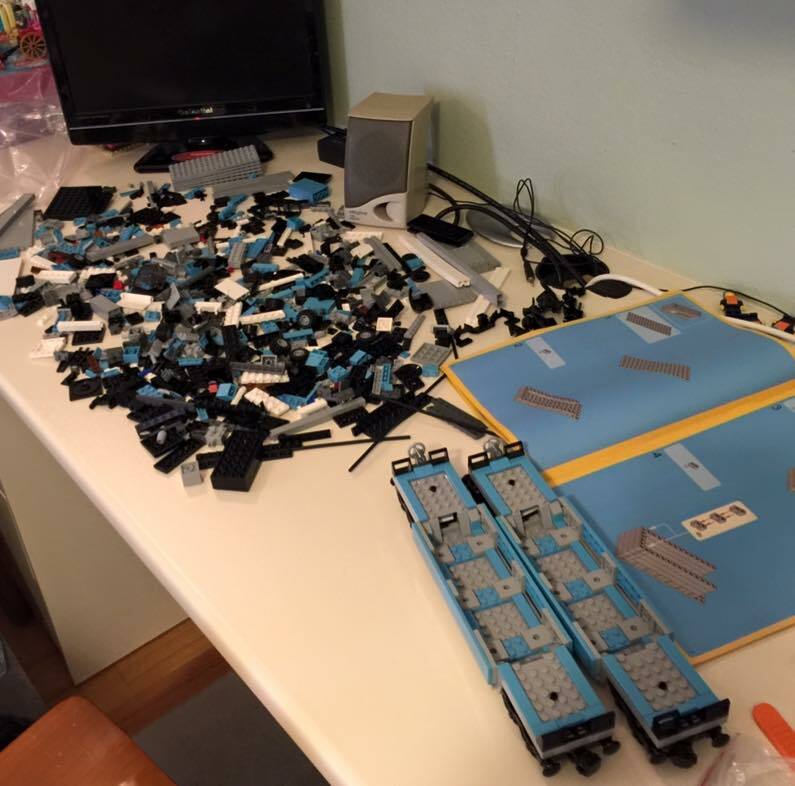 As an AFOL, Steve greatly appreciates the support LEGO provides to the LUGs and LEGO fan events. The quality of LEGO packaging is a concern of Steve’s and he believes they can go some way yet to make improvements in this area. His other least favourite thing about being an AFOL is all of the people on the various forums that have nothing better to do than make complaints. Russell K of Canberra has only lived in Australia for a couple of years. 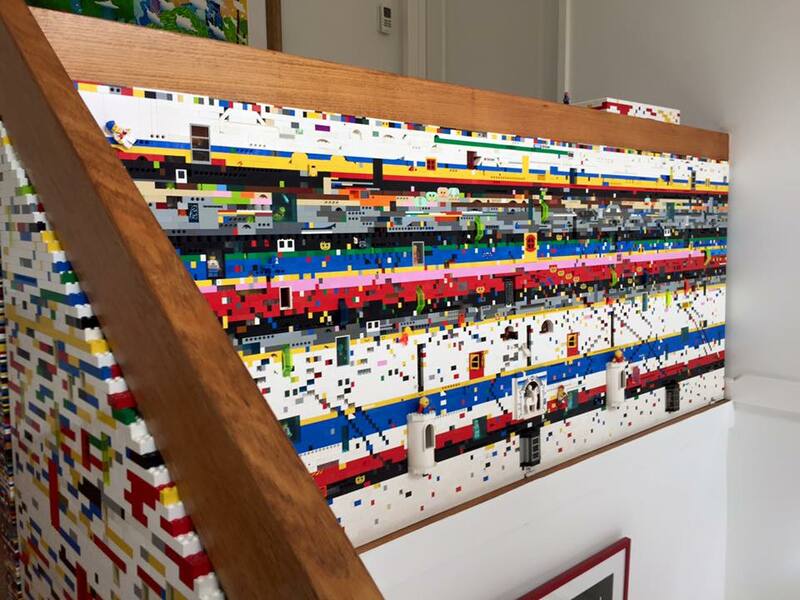 Whilst living in New Zealand in the 1990s he was well known for creating elaborate interactive LEGO displays with his kids. 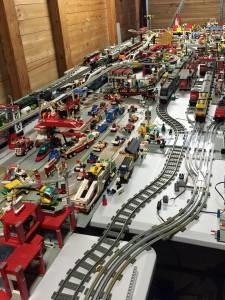 They had an extensive collection and it was his son’s enthusiasm for LEGO in the early 1990s that first lead him into becoming an AFOL. For a variety of reasons, Russell’s LEGO was boxed up and placed in storage for a number of years and has only recently been unpacked. Unpacking his collection has been a mixture of delight, to find lost treasures, and sadness, to see how the collection has fared. Russell has most of his sets on display in his garage in a massive 1990s town display. He has found modern sets to be frustrating as, though they are often lovely builds, they are not the same scale as the bulk of his older LEGO. His spare parts are currently in open plastic tubs sorted by colour. He had yet to unpack his Technic sets and has some concerns about their condition after 15 years in storage. The favourite thing about being an AFOL for Russell is the range of online resources and the LUG communities that didn’t exist when he was an AFOL the first time around. It also pleases him greatly that the LEGO company are far more supportive of LEGO fans these days compared to the 1990s when he tried to create a fan group in New Zealand. His least favourite thing is realising just how many sets he missed out on between 2000 and 2015. There’s a lot of catching up to do! Seeing Darth’s TIE Fighter in Kmart in 2008 was the catalyst for Neil S. to return to LEGO as an adult. Since then he has become an avid collector and has displayed at events across Australia and in other countries. Neil describes his storage method as “pretty random”. Some parts are stored by colour first then by brick type but smaller pieces are grouped by type then colour. This suits his building style. He believes one of the best things about being an AFOL is meeting other AFOLs and seeing their creations – it’s amazing what other people can create from their own imagination. He also enjoys creating his own models and, like most AFOLs, appreciates the positive feedback from other LEGO fans. Neil’s least favourite thing about being an AFOL is probably sorting through all of the little bits and pieces. He also dislikes it when people take the hobby too seriously and forget that it’s meant to be about fun and creativity. JC of Melbourne doesn’t remember when he first developed a love for LEGO bricks as it happened when he was a small child. However, he was able to revisit his love of LEGO when his son started collecting the second series of the Collectable Minifigs in 2010. He doesn’t have much of a storage philosophy at the moment because he has limited space in his small apartment. 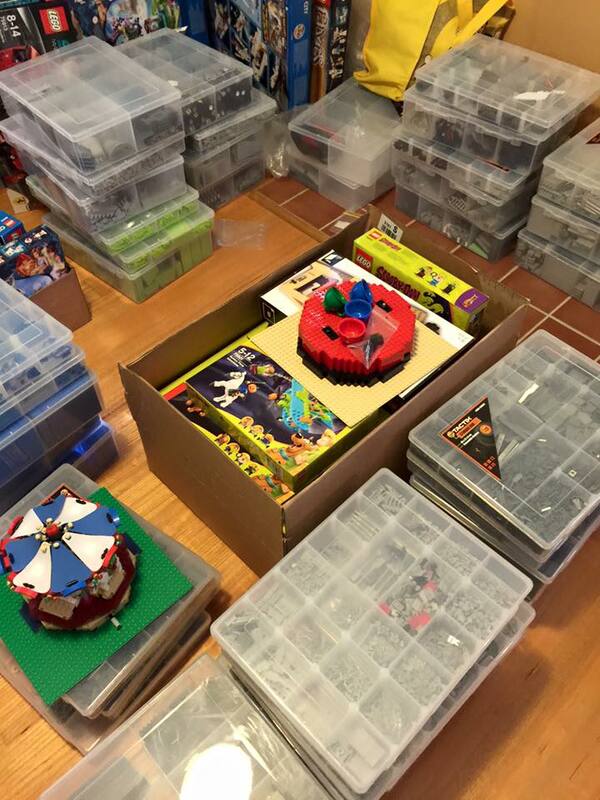 The majority of his spare parts and LEGO bulk are stored in cardboard boxes until he needs them for a build. Whilst building, he stores the parts he is using in tubs and drawers, which he acquired from Aldi (see picture). JC described this method as a “mess” but he hopes to one day have an organized set up in a double garage with lots of room for storage and building. The best thing about LEGO bricks, for JC, is watching his son play and use his imagination. JC enjoys the social interaction with other AFOLs and loves seeing the creations made by other people. His least favourite aspect is the cost. For him, it severely limits his ability to complete builds. 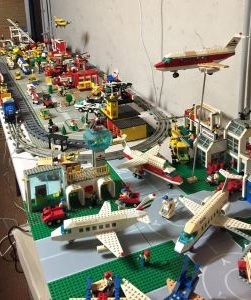 As a MOC builder he has a wealth of ideas of models to design and build but he believes it will be years before he can make them a reality due to the restrictive cost of purchasing the LEGO bricks. JC states that, costs aside, the only true limitation to building with LEGO bricks is one’s own imagination.